The Metropolitan Police are downplaying any suggested link between last night's knife attack in London and terrorism, saying that it was probably "triggered by mental illness". This is what police said in France and Germany after terrorist attacks there last month. Mental illness seems to be the new official excuse for terrorism to deflect attention away from the fact that the terrorist is a Muslim. The man responsible for last night's attack has been identified as a Somalian who has been living in the UK for 14 years on a Norwegian passport. 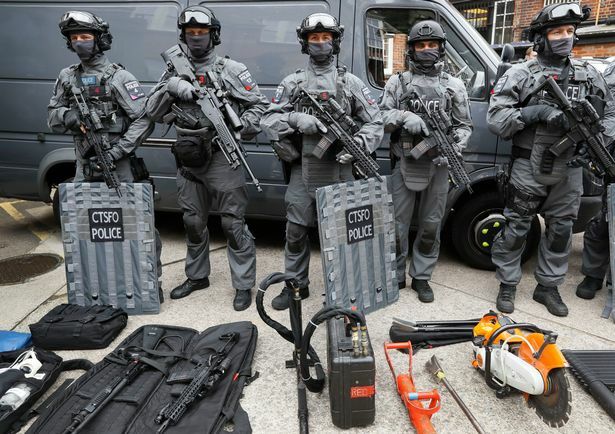 If there is no evidence of a link to terrorism why are these counter-terrorism officers on the streets in response to the attack?